It is always exciting for Starting Chance when we are contacted by young people wanting to make a difference. But it is even more exciting when we see passion and dedication. Ines Feik is a beautiful young teacher from Germany. She has worked all over the world and was eager to share some of her experiences. 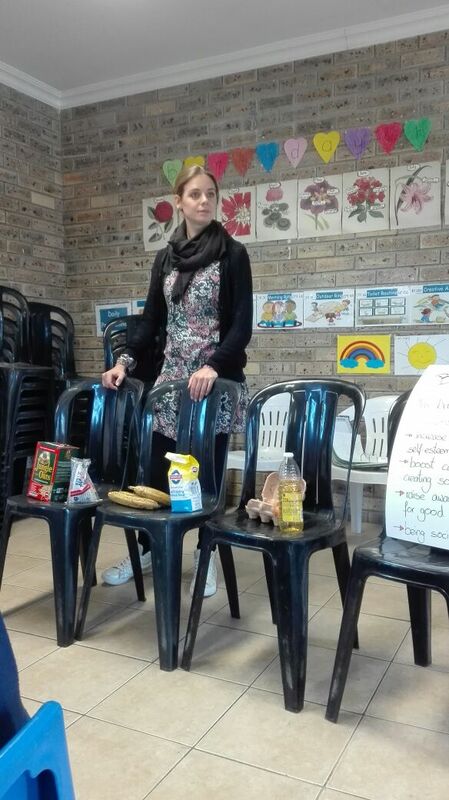 She volunteered to help us introduce some innovative ideas around baking in our preschools in Mfuleni. 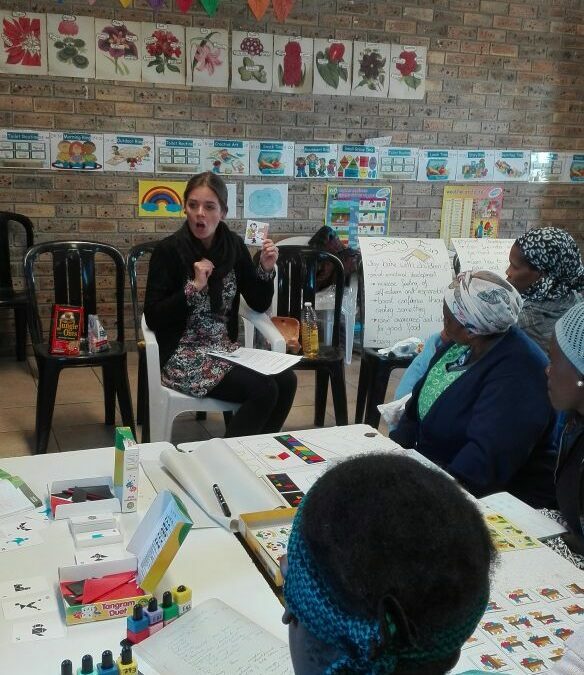 Ines says, “First off, my intention to do such a workshop was based on the idea to get the teachers to think a bit outside their usual habits on what they normally do with the children in class. One needs to think creatively in order to create some baking goods when there is not a lot of equipment at the schools (using the microwave instead of the oven, mixing everything with spoon or fork instead of electric mixer, etc.). Our teachers were delighted to see a new face and very excited to try new things. 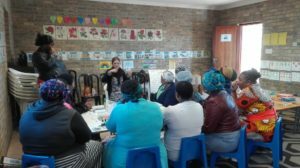 Many of them had never done a baking session at school before and in the end they were very surprised how manageable the procedure was. There was a real buzz in the room. Ines introduced the baking session by playing games with the teachers and using the story of the “Gingerbread Man” to get them in the mood. She showed them how to introduce vocabulary, (word games with picture-flashcards of the ingredients), count and sort, cleanliness, follow a recipe and simple rules for baking. She pointed out how this would support the social-emotional development of the child by:- Increasing their feeling of self-esteem and responsibility, boost their confidence through creating something from scratch and raise awareness and interest for good food to make them healthier eaters. And it would help the child’s physical development by promoting fine motor and eye-hand coordination skills and teaching them to measure, pour and stir. They all couldn’t wait to try with their own children in their schools. Thank you Ines for sharing your time and expertise.